Local eating was a part of Renee Brooks Catacalos’ childhood. Trips to the wholesale farmers markets in her hometown and stops at roadside stands on summer trips to Atlantic City were supplemented by her father’s small garden or community garden plot. “I didn’t realize these were connections to local food until I started paying attention in the early 2000’s,” she says, “But they were!” That first step into local eating lead to others as an adult with a family of her own. In 2005, Catacalos talked her friend and partner in good eating, Kristi Bahrenburg Janzen, into an experiment. 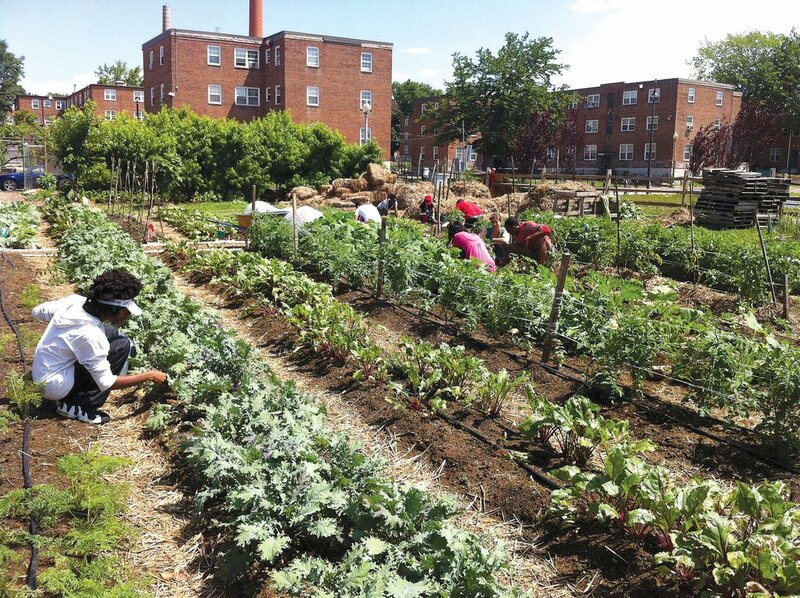 For one month, their families would eat only what was grown within 150 miles of their suburban DC homes. The challenge was a success. Eating local became a way of life for both families. In her efforts to obtain all the foods needed to feed her family on an ongoing basis, Catacalos says that she may have gone a bit over the top. By the summer of 2006, she was driving 40 miles round-trip each week to Claggett Farm in Upper Marlboro for fresh greens, squash, cucumbers, melons, tomatoes, and root vegetables. That might have been enough, but this haul didn’t include local tree or vine fruits, corn, bread, or cheese. Purchasing these meant Saturday trips to Silver Spring, Thursday visits to Riverdale Park, and various stops in Takoma Park, Greenbelt, or Hyattsville on Sunday and Tuesdays. The 100-mile trip to Springfield Farm in Baltimore County each month was necessary for meat. Then there were the weekly trips to the Takoma Park Silver Spring Co-Op or MOM’s Organic Market for milk and other items. Following the trajectory of her passion, Catacalos took on the quarterly publication of Edible Chesapeake, which focused on the opportunities for local eating in the region. While publisher, Catacalos learned about the problems farmers faced in getting their goods to market, the challenge of growing with sustainable methods, and the affordability of these foods for some. Fast-forward ten years and Catacalos was ready to author a book to make local eating easier. That book, The Chesapeake Table, is a culmination of her experience and a recognition of the local food producers who are active parts of the community and the farmers markets and stores that purchase local foods. Even with her long-standing involvement in eating local and the communities that grow and sell these products, there are things that surprised her when writing her book. You don’t have to be a foodie, or someone who is ready to cover hundreds of miles each week in search of sustainable produce to appreciate the material in The Chesapeake Table. 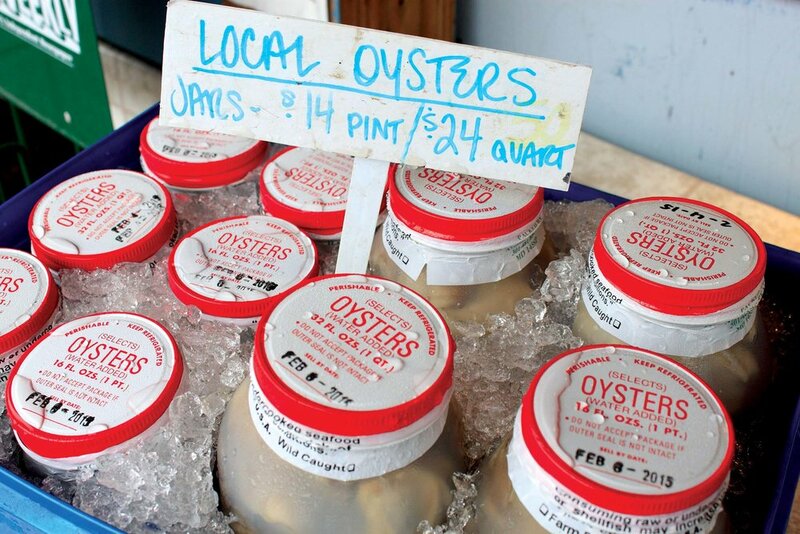 Included are chapters on why it’s now especially important to eat locally, what the tastes of the region have been and are currently, and what you can find on farms and in the waters of the Bay. It includes information about markets and liquid harvests, too. From keeping a watchful eye on our ecological footprint to the importance of eating foods that are sustainable, all of the information provided makes it easier than ever to access foods produced by local purveyors. It also makes it clear that the days of runs to the farm have been supplanted by runs to the farmers market or grocery. The final chapters in The Chesapeake Table include Catacalos’ views on what it will take to create a robust local food system. She makes it clear that consumers are an essential part of the equation. Her shared belief with writer-activist-farmer Wendell Berry, that “eating is an agricultural act,” reinforces the idea that we must make our choices in support of the local food system we say we would like to see. This thought is continued in a chapter on making your choices count. Catacalos has not forgotten the newbies among us. The last chapter in The Chesapeake Table, entitled First Steps, provides us with just that. For everyone from those on government assistance to those with ample food budgets, Catacalos lays out what we can do to find the local foods we want at prices that meet our needs. Her suggestions include using USDA’s Supplemental Nutrition Assistance Program (SNAP) at the farmers market; having soup delivered by getting a “soupscription;” grabbing lunch while out at the farmers market; and picking your own produce. You can take one step at a time or jump in and go for the whole deal right from the start. Catacalos points out that eating local doesn’t have to be boring. She urges us to go beyond what we think we know of our region. Think crabs are the only thing we get from the Bay? Think again. “Porgies and black bass are fairly common at fish markets and grocery stores. Sport fishermen catch a lot of croaker, spot and white perch in the Bay, along with rockfish, of course.” There is even room for non-native species like blue catfish. Eating this delicious fish can help curb it’s spread. “You can find frozen wild blue catfish fillets in many stores now, and cook them like any firm white fish,” she writes. This applies to produce, too. “Farmers have found markets for vegetables and fruits that have not traditionally been grown in this area, but do grow well here, such as spicy salad greens and tomatillos. Some producers have also learned about different uses for familiar plants, inspired by world travel and growing immigrant populations, such as the popularity of sweet potato leaves as a cooking green in Asian and African cuisine,” Catacalos says. For Catacalos, the fact that the efforts taken to eat local with her family resulted not only in healthier eating, but in discoveries for her children. Her son Louis discovering “yummy milk,” in glass bottles. Her daughter Catherine “would bring her allowance money to the market to buy her own quart of plums or slab of farmstead feta.” They learned the positives of eating local by doing just that. It also enabled them to see how the food got to their table. It’s clear that local eating, a sustainable and equitable food supply, and the positive social changes that go hand-in-hand are important to Catacalos. What started as a way of eating for a little girl has grown into a mission for a woman intent on making personal choices that reinforce her vision. It’s hard to speak with her for any length of time without catching her enthusiasm and seeing the possibilities for yourself. It’s also difficult to walk away with a list of excuses and reasons why you cannot be part of the local food movement. Gina Hagler writes about food, science, technology, and health. She’s a frequent visitor to her local farm. You can read more of her work at www.ginahagler.com.